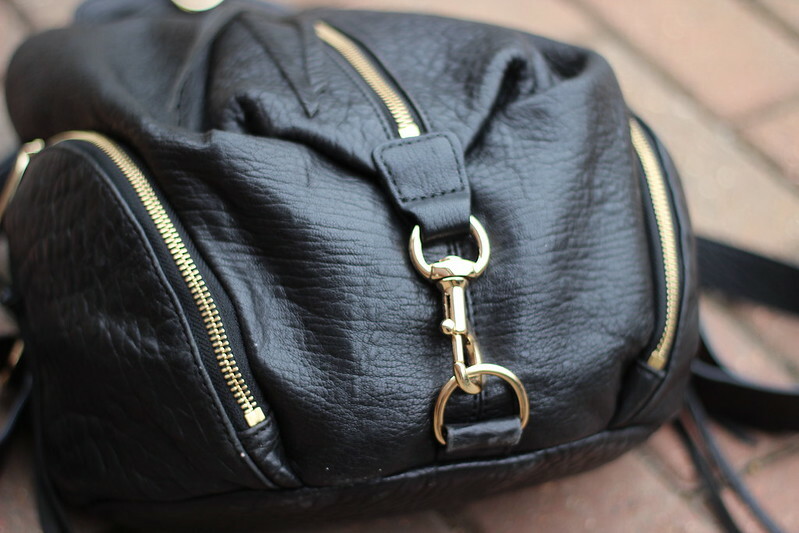 The Backpack: A Handbag Revolution? It's not often that I find myself investing in something that is both functional and fashionable, but the return of the backpack has meant I no longer have to feel guilty about parting with my hard earned cash for fashion purposes alone. As a blogger and YouTuber I tend to fill my bag with quite a bit and it really can get uncomfortable carrying it all on my arm. 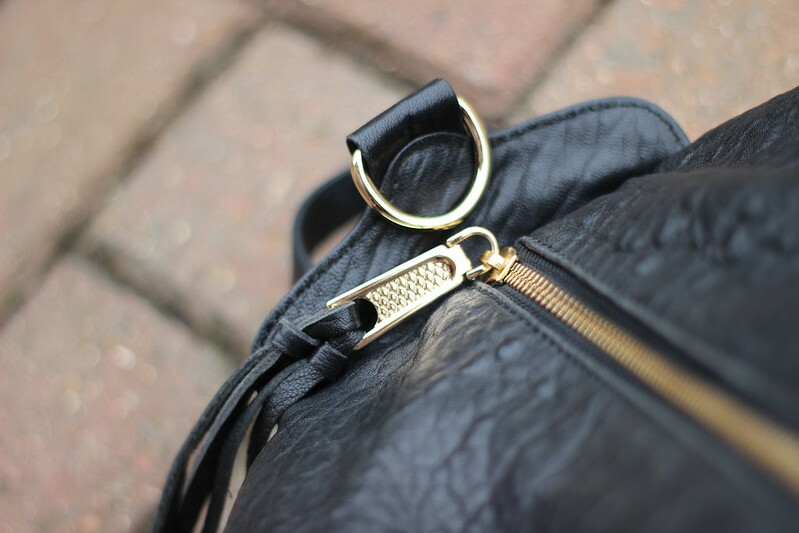 But with the high street finally making the backpack cool again we can all wave goodbye to bad backs and say "hello" to soft leathers and simple gold detailing. And a better back of course. 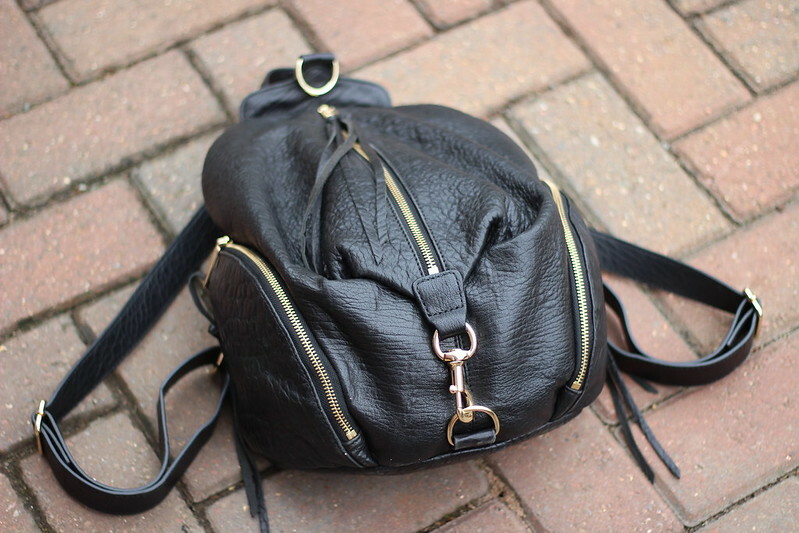 I went for this backpack (the Julian) from Rebecca Minkoff. I was actually looking to buy one of her Mini Mac's anyway and with free delivery on all orders over $300 plus an additional 15% off your first order I thought it was worthwhile me getting both. 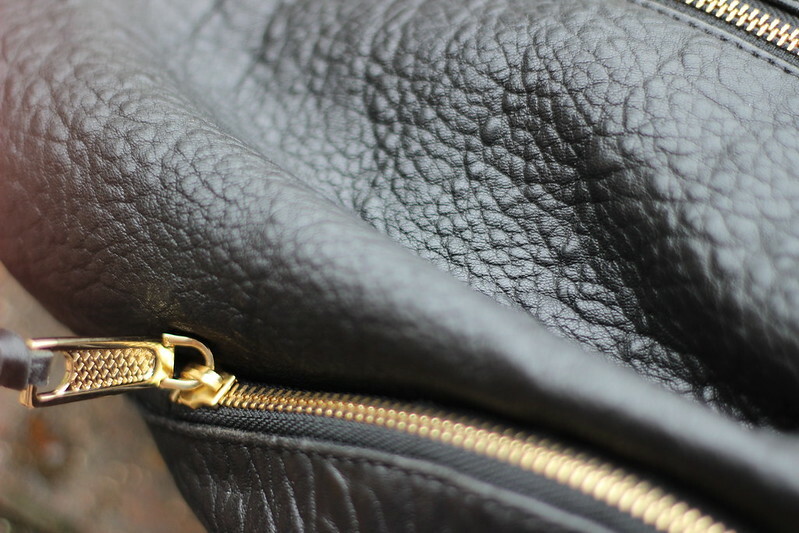 I loved the gold clasp detail on the back and also the finish of the leather (which is SO unbeleivably soft) plus it has a few side pockets for my lipstick and phone; I hate having to dig around in my bag for those! I really love my new backpack and I've found it to be so much more convenient for commuting and walking around town. I can imagine it being a life saver at the airport too during my summer holidays! Have any of you converted to the backpack trend yet? If so which ones did you go for?